The Forest of Hands and Teeth opens with an arresting image: the narrator, Mary, recalls a long-lost photograph of a relative standing in the ocean, and notes that what really endures is not the detail, but the impression of “a little girl surrounded by nothingness”. The relevance of this image quickly becomes clear. Mary’s village lives under siege, surrounded by a forest filled with monsters, protected by fences, guards and patrols. The monsters in question are ex-humans, creatures of “tattered clothes, sagging skin […] horrible pleading moan[s], and […] fingers scraped raw from pulling at the metal fences” (2). They get that way as a result of being bitten by one of the infected. To call them zombies, as they never are within the pages of the book, is accurate but loses a nuance of tone: the other void that surrounds Mary is an absence of knowledge, so (among other things) she is never given the chance to know the word “zombie”, or to use it. To her, the monsters are the Unconsecrated. And they are seen, not as mindless, but rather as singled-minded: their unlife is unendingly, unrelentingly, “only about one need, one desire” (184). The order of Sisters that controls Mary’s village, much like some religious institutions today, isn’t so very keen on uncontrolled desire. Oh, they speak of freedom: “There is always a choice,” they proclaim. “It is what makes us human, what separates us from them” (34). And it is in putative service to this maxim that infected individuals are not summarily executed, but are allowed to decide whether they want to be killed, or released into the forest to join their new brethren. But other kinds of choice are in short supply. An unmarried woman has precisely three options: live with her family; marry into another family; or join the Sisterhood. Of necessity, Mary ends up plumping for door number three, which in turn leads her to new knowledge about the world in which she lives: right up to the point at which her village is overrun by the Unconsecrated, and she is forced to flee into the forest, making use of a forbidden network of fenced pathways, of uncertain origin and unknown destination. It’s telling, I think, that Mary refers to the detail of the stories she’s recalling but that Ryan — writing in first-person present, note — refuses to give us those details. We are kept on the surface, away from the core of Mary, away from the depths of her feelings. As a result, those feelings are never evoked with as much intensity as the situation seems to deserve; the horrific claustrophobia of the village, for example, is never as overwhelming as I would have liked. Indeed the village itself is never described in any but the most generic terms. The Cathedral from which the Sisterhood rules is simply “an old stone building built well before the Return” (7). Abstracting a tone from a cluster of real-world references is one thing, but an excess of Significant Capitalization does not an Atmosphere make. But the style works rather better when the Unconsecrated are on the rampage. Then, the immediacy, the focus on surfaces and the progression from one action to the next makes much more sense. More than once, Ryan is able to establish and maintain a sense of urgency that is sustained precisely by the lack of meaningful introspection; no thought, only action, detailed in something akin to slow motion: “Beside him on the platform men pull at bows, letting loose arrows towards targets somewhere behind me. I can feel the compression of an arrow splitting the air as it cuts next to my head. I don’t know if the arrow was meant for me or for something behind me and I refuse to look over my shoulder to find out. Reality is too much to bear at this moment and so I shove it aside” (128). The problem with this, of course, is that as well done as it is, it’s one of the only real virtues of the novel, and it’s something that films, television and computer games — visual media — will always do rather better than prose fiction. And there is a sense that The Forest of Hands and Teeth is waiting to be made into a film. The action sequences are Hollywood-polished — and, indeed, when Mary suddenly demonstrates heretofore unhinted at l33t zombie beheading skillz, Hollywood-improbable. Equally, the relationships are Hollywood-superficial. At the heart of the book’s keystone romance, between Mary and one of the village men, Travis, is something ambitious and challenging, I think. Mary’s love for Travis is never justified or elaborated; it is simply a given. Equally, Travis’s love for Mary goes unexamined until quite late in the book with, in the meantime, paroxysms of adoration — “‘Oh Mary,’ he says, thrusting his hand into my hair and cupping my head […] ‘Mary,’ he whispers. I can feel the movement of his lips” (89) — substituting for anything resembling conversation, or any sense of a meaningful connection between two individuals. Their desire, in other words, is the same selfish, short-sighted, and ultimately unsatisfying kind of desire as that which drives the Unconsecrated. Whether or not it is even a choice, in the meaningful, human sense identified earlier is in doubt. The trouble is that the novel never quite commits to saying this out loud, as it were; for all the casual gruesomeness and violence that comes with the Unconsecrated, this sort of unconsecrated desire is apparently beyond the pale, or the page: the passion that might make Mary and Travis’ mutual obsession convincing is missing, replaced with coy allusions to waking up in each others’ arms. Too, there seems to me to be something not quite successful about Ryan’s refiguring of zombies. When Danny Boyle and Alex Garland used them to express mindless rage in 28 Days Later (2002), they famously embodied this change as intensity, as speed. Ryan’s Unconsecrated, in contrast, are not particularly differentiated to achieve her metaphoric purpose; instead she borrows familiar traits. (There is even a fast zombie, confirmation if any were needed that the Boyle/Garland variant has become a trope in its own right.) And so they continue to also stand for death, for “the fear of death always tugging at you. Always needing you, begging you” (214). The problem with this layering is twofold, I think. First, it doesn’t just say that single-minded desire will destroy you; it suggests that something like the Sisterhood is needed to keep it at bay. Second, death really is a slow, shambling inevitability; and so an ending that offers an escape to what appears to be a genuinely safe haven, even if that escape comes at a cost, even if it affirms the fundamental selfishness of your protagonist, cannot help but fail, on some level, to satisfy. 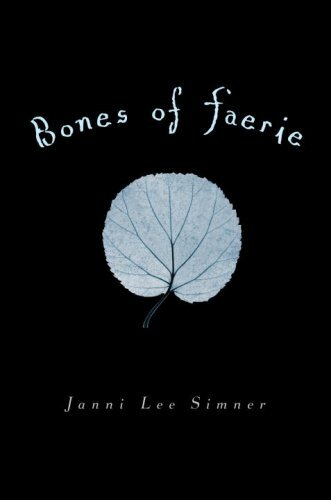 Immediately after reading The Forest of Hands and Teeth, I happened to pick up Janni Lee Simner’s Bones of Faerie. On the face of it, the two books are not dissimilar, but the comparison is not kind to Ryan’s novel. Like The Forest of Hands and Teeth, Bones of Faerie is a post-apocalyptic narrative, told in the first person by a young woman who, when we meet her, is living in a village that has regressed to pre-industrial technology and social structures, from which she journeys out into the world beyond. Both protagonists struggle with the absence of their mother. Both books are stylistically straightforward. (Both, at least in the editions I own, happen to have striking Stephenie Meyer-esque iconic-image-on-black-background covers. And both, as if you couldn’t guess by this point and if you care, were written as Young Adult fiction, and are their authors’ first books for the YA audience.) And, like Ryan’s novel, Bones of Faerie opens with an arresting image, this time of the narrator’s baby sister abandoned by their father, for bearing the “hair clear as glass from Before”, that signals the touch of faerie. “We knew the rules,” Liza says. Don’t touch any stone that glows with faerie light, or that light will burn you fiercer than any fire. Don’t venture out alone into the dark, or the darkness will swallow you whole. And cast out the magic born among you, before it can turn on its parents. Towns had died for not understanding that much. My father was a sensible man. I find that an extraordinarily concise, delicate and effective evocation of strangeness; and Simner sprinkles the pages of her characters’ quest with this sort of thing, bringing the landscape of her novel alive in a way that I never felt with The Forest of Hands and Teeth. On the other hand, compared to Ryan’s set-pieces, Simner’s attempts at action are much less tense and visceral — though this is not to say that Bones of Faerie is without drive. For a portal-quest fantasy (which it undeniably is), the story is pleasingly brisk. Driven by the suspicion that she has been touched by magic, and fearful of what her already authoritarian father, in particular, would do to her if he found out, in short order Liza flees into the woods around her village, is rescued by the inhabitants of another village (who turn out to have embraced magic, rather than shunned it), learns more about the world, and sets out on a quest to rescue her mother, who she believes is trapped in Faerie. The instant acceptance — or indulgence — of Liza’s choice is only one of the ways in which Simner’s hews closely to the cliches of portal-quest stories: for Liza does turn out to be a child of special potential, born to important parents, and responsible for Healing the Land. It’s how well Simner works within this framework, and how she finesses it, that makes Bones of Faerie. There is, for example, a charming moment when Liza overhears some other characters, and the reader realizes they are engaged upon their own story, which for them is just as important as the one we’re reading. Simner’s faeries, also, are pretty much just humans with magic, not given to tricks or spite any more or less than the regular kind. It’s a pleasingly fresh approach that allows Simner to comment gently on prejudicial assumptions. And perhaps most importantly, while magic has undeniably reshaped the land, it cannot be done away with. “Magic destroyed the world,” Liza tells one of her rescuers. “Indeed,” he replies. “And now it’s the only tool we have to mend it” (80). It’s a pragmatic approach, one that feels true to the way the world really evolves; and it means that to heal the land is not to restore it to some ideal state, but to accept and accomodate its evolution. The image Simner uses to communicate this accommodation, when it comes, is both delightful in itself, and delightfully well-chosen in the context of the rest of the novel. The counterpoint to all this delicacy comes in visions that afflict Liza, increasingly as the book wears on: stark flashes of places she has not been and events she could not have seen. Many are of the war: “Dirt churning like flour in a sieve, and the people slipping from view one by one, their hands grasping air to the last, leaving behind only dirt and roots and jagged bone” (161). Most brutal of all is the uncovering of what humanity is capable of in response. It is a darkness that shades but never distorts the book: again there is the sense of a framework being carefully used, of everything in its proper place and most effective proportion. A less charitable way of saying this is to suggest that in both subject matter and emotional focus, Simner’s book is arguably less adventurous than Ryan’s; Bones of Faerie is straightforwardly a book about loss and renewal. So Liza, of course, is possessed of generic amounts of practicality and pluck, and learns to control the magic lurks within her, and there is an undeniable inevitability to the way in which she confronts her father at the novel’s climax. But the confrontation is more plausibly choreographed than, for example, any of Mary’s heroics in The Forest of Hands and Teeth, with the result that Liza’s catharsis is no less freeing for being expected, while Mary’s release feels like a betrayal. That difference between the two books, in the end, outweighs any number of similarities. Very interesting review. 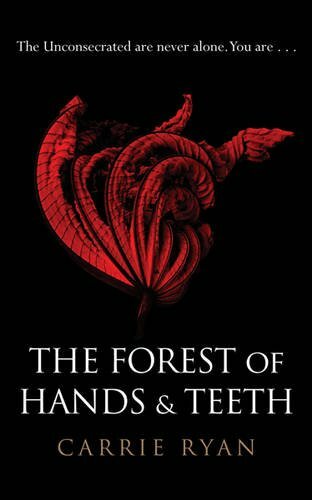 I’ve been thinking a good bit about how I can express my (slight) disagreement with you about The Forest of Hands and Teeth without coming way too close to authorial intent for comfort. I completely agree about the lack of atmosphere, or Atmosphere, the Hollywood feel, the ending, but where I differ is in not seeing the consistency you see in the Sisterhood, in Mary and in Travis. The idea that Mary and Travis parallel the single-minded desire of the Unconsecrated, which is – again, single-mindedly – opposed by the controlling Sisterhood, is a very compelling one, but one I believe gives too much credit for intentional structure to the text. Mary and Travis – well, she’s definitely single-mindedly selfish enough for two! Travis is a bit of a nonentity, and his (unexplained) desire for Mary was mostly sacrificed for Harry right up until the point when he and Mary are conveniently separated from the others. Actually, I think Harry is one of the better examples of the kind of plot-device cutouts we get instead of real characters. He’s handily there to play the undesirable – even repulsive – figure who exists to get between the protagonist and her/his romantic choice, and when it suits the plot he behaves down to this role: abandoning Mary to the Sisterhood, essentially forcing Mary into marriage with him though he knows she’s in love with Travis, even having flesh that looks ‘puffy and white and wrong’ to her. When not plot-useful, he’s quite different, kind and caring and actually wanting to make Mary happy even if it can only be achieved by leaving the village. Very well-written and thoughtful reviews. I especially liked hearing about the first book, and was glad to learn about the second.